Children with ADHD respond just as well to a supplement with an extract of Passiflora incarnata as to methylphenidate, the active substance in the ADHD drug Ritalin. This appears from a small study that Iranian psychiatrists from Roozbeh Hospital in Tehran published in 2005 in Therapy. The researchers divided 34 children aged 6-13 years with ADHD into 2 groups. For 8 weeks they gave one group 2 pills each day with methylphenidate. The children were given 1 mg of methylphenidate per kilogram of body weight per day. A second group of children received 0.04 milligrams of Passiflora incarnata extract per kg bodyweight daily. 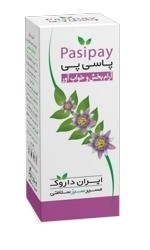 The researchers used Pasipay, an alcohol-based extract from Iran Darouk. The children in this group took their supplements 2 times a day. We have a some problems with this study at this point. We find the methylphenidate dose used rather high, and the dose of Passiflora incarnata suprisingy low. Typos? Translation errors? The researchers asked the parents and teachers of the children to fill in some questionnaires, which can measure hyperactive behavior. According to the reports from the parents and the teachers of the children, the supplement with Passiflora incarnata worked just as well as methylphenidate. The supplement had significantly fewer side effects than methylphenidate. The children who used methylphenidate had less appetite and were more nervous and anxious than the children who used Passiflora incarnata. "We conclude that Passiflora may be a novel therapeutic agent for the treatment of ADHD", write the Iranians. "In addition, a tolerable side-effect profile may be considered as one of the advantages of Passiflora. Nevertheless, our study is relatively small and our results require confirmation in a larger study." At American universities a quarter of the students use some form of doping. Not to build muscle or increase their speed, not to lose weight, but to improve their grades. Canadian researchers discovered this when they gave the boys 400 mg L-theanine daily for six weeks. If children take a daily supplement containing extra vitamins and minerals, their brains work in a more focused way.